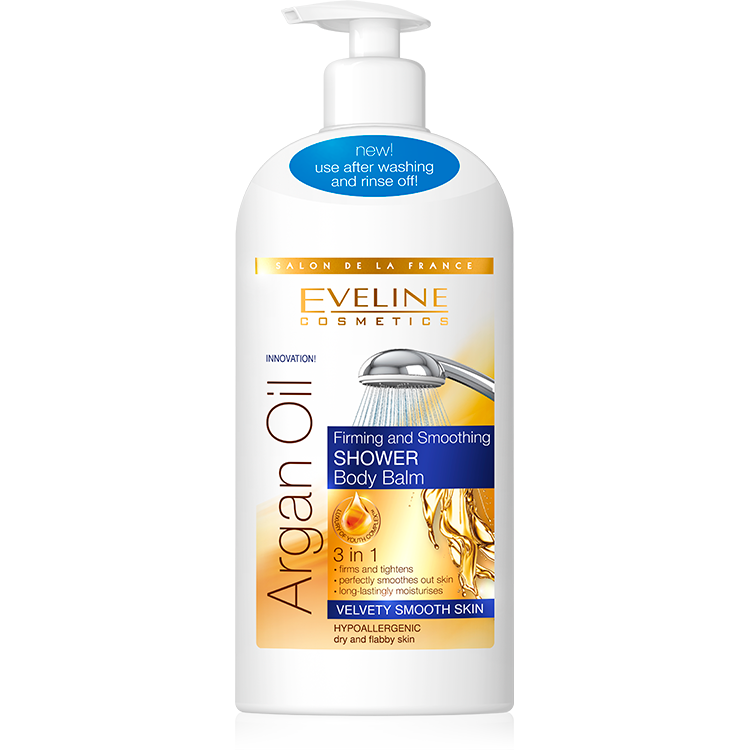 FIRMING AND SMOOTHING IN-SHOWER BODY LOTION is intendedfor daily care of dry and flabby skin. Innovative formula based on CELLFORTE® advanced technology, acting in synergy with Luxury of YouthComplex™, intensely firms and tightens skin. Visibly improves elasticityand perfectly smoothes out epidermis. Coenzyme Q10 supports cellmetabolism, invigorates and takes part in the processes of intercellularoxygenation. Prevents cells damages. Argan oil considered the real ”elixirof youth” regenerates, firms and tightens, perfectly rejuvenates and improvesskin condition. Vitamins A, E, F complex restrains ageing processes,protecting skin cells against harmful action of free radicals. Pleasant, delicatefragrance ensures exceptional feeling of freshness and comfort.